Our Beautiful Brows bundle combines the perfect tools you need to create natural looking, full and well defined brows. PHB Mineral Eyebrow Powders define and fill-in brows with natural looking colour to highlight facial features and frame the eyes. They never smudge and provide incredible staying power. Made with the purest minerals that are kind to sensitive skin. 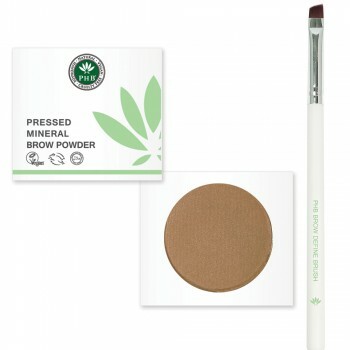 Our Vegan Brow Define Brush is a small, thin, angled brush perfect for applying brow powder. It's the perfect multi-function brush to fill in and define your eyebrows with ease. 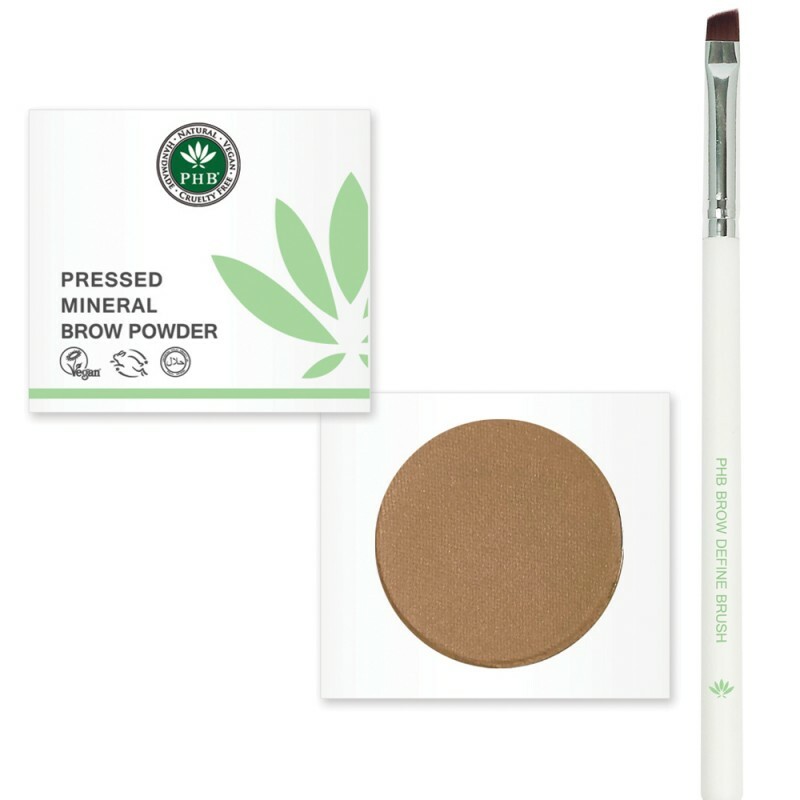 The perfect tool to use with our Pressed Mineral Brow Powder. This multi-purpose brush is also ideal for applying eye shadow wet to create an eyeliner effect and achieve a sleek finished look. Great for creating different colour eyeliner!